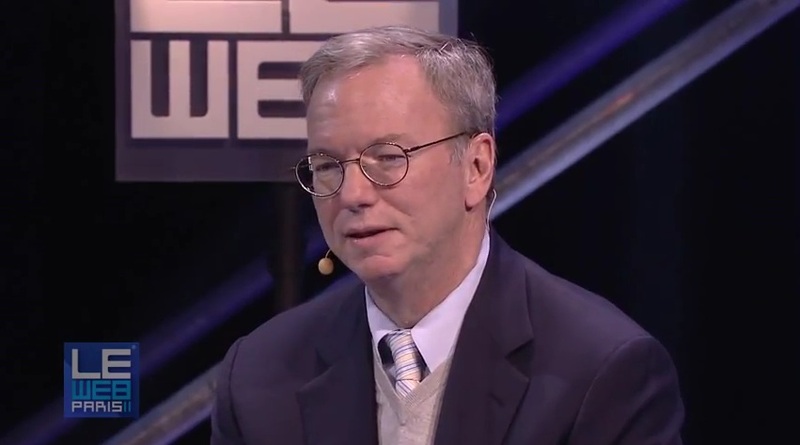 Google’s Executive Chairman and former CEO, Eric Schmidt sat down with Loic Le Meur at Le Web in Paris yesterday to discuss all things Google. In the interview, Schmidt discusses the challenges governments are facing in relation to technology, Google TV’s upcoming rise to prominence, the Motorola acquisition, why developers still favor iOS, the problem of noise in Google+, how Google is focusing its efforts on fewer products, and another Googler comes out to demonstrate some features of Android 4.0 (Ice Cream Sandwich). The full hour-long interview is embedded below and worth a watch, but we’ve grabbed a few interesting quotes. When asked by Le Meur if he’d buy a TV manufacturer, like Google did with smartphone and tablet maker Motorola, Schmidt responded with a bit of a dodge. Why do app developers still focus on iOS?